So this morning when I was on my way to check out some videos on Youtube I immediately noticed the new webpage design they made for the site, and suddenly got that feeling of “something is not right here” and of course it wasen’t, they had changed the design but for the worse rather then the good. Yeah it fell off, because it grew too fast and too large which was a big threat to the record industry which did not like the free expression of independent music being made so easily available to all because it made their mainstream artists look less important. And it doesn’t come as a surprise of who owned myspace.com when the changes were made “Rupert Murdoch” which now recently sold it off in June 2011 to Specific Media. Is the big media TV stations loosing it’s viewers to the internet and to sites such as Youtube? Is it hurting them to not have people watch TV? Yes it is probably what is going on here, but it could also be a part of the upcoming bans and censoring of free speech on the internet that is happening right now and shutting down Youtube this way could be a milestone for it. Because Youtube has become the source of almost all media, people today use it widely and one industry is bleeding from it, the Entertainment Industry. But it’s not just about the money it’s about the control and flow of information being crossed over to the viewer. Since the introduction of the Internet, TV has become less and less popular, viewers today spend more time on the internet then the TV and that upsets the establishment, since they can not control the flow of information they can not easily control the opinions of people. So they only have one choice and that is to censor the internet. But since they can not do it directly and out in the openness, they attack the most made popular medium on the internet, “Youtube” by making it unattractive to the average viewer by changing it’s design. It wouldn’t surprise me if this was all in the plans just in case Youtube got too popular with free speech because after all the Youtube community is kinda special and on point with the truth. So why this design? Why the color Grey? Well we all know how colors make us feel, and usually grey is a color that it is uncomfortable to view because it gives off the feeling as being something unimportant, non-involving, authoritarian or old, and it lacks energy. 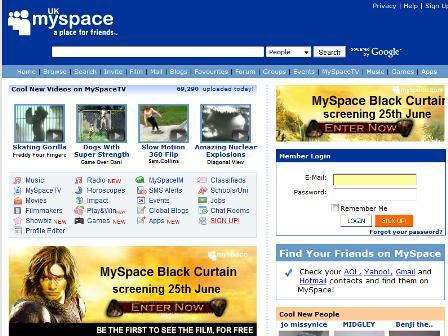 Remember they did the same thing to myspace.com and back then I just wanted to flee the site myself. All I know for sure is that this design is made to repel users from the site instead of drawing them there, because you don’t make a design that is worse then the one you had previously unless you want to decrease your traffic to the site. These things does not just happen by themselves, there is a whole team and division of interaction designers working on the effects a design has on the human psyche, and from looking at the design they made from the instructions they were given it is obvious what kind of effect they wanted it to have. Like one of my friends told me today when I asked him about the site “Yeah I noticed something was wrong too, I didn’t feel like being on the site for too long after that” And I couldn’t agreee more. Because you see interaction design is all about that feeling a design has and what effect it gives it’s viewer or user. 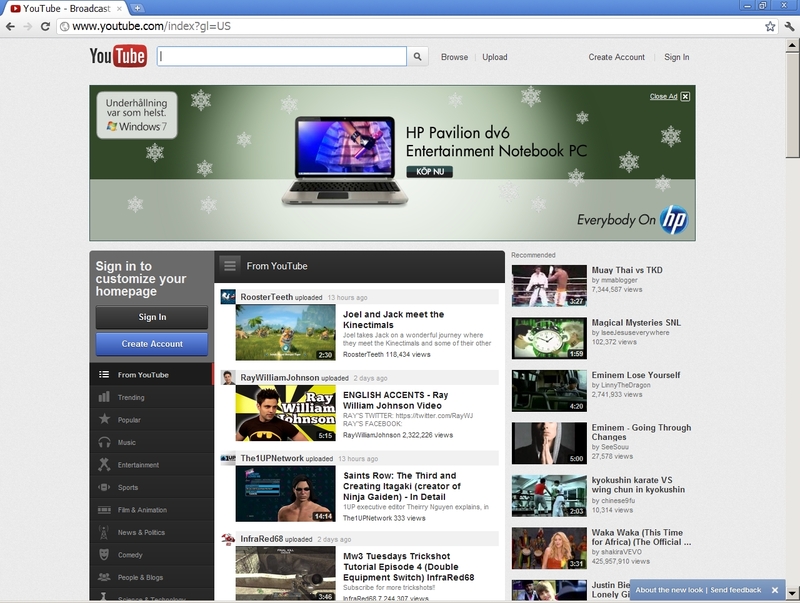 So woulden’t it hurt Youtube as a company to decrease their traffic to the site? No they don’t care, Youtube is owned by Google now and Google is basically NSA so why would that be bad? If their ends to the means is to slow down traffic to the site in order to save big media TV Stations more viewers and control the flow of information then we know what effect the site has on free speech, a positive one. The Globalists are loosing the information war, they thought they could create and keep people in a big fish tank called the internet and observe them like animals but it got out of control and they are now trying to slowly censor it. Channels like TheAlexJonesChannel on Youtube have had a tremendous impact and positive effect on informing the people about the Globalists. Yes folks, Youtube just got censored big time, the new design will clearly decrease traffic to the site but hopefully people will find other ways to share their information and stay as connected and informed as before, perhaps even demand the previous design back up. This entry was posted in Communication, English, Free Speech, Internet, Internet, keyinfoblog, Languages & Categories, Publications and tagged 2011, Alex Jones, Censoring, Color Psychology, Corporate owned media, Corporations, Design, Elite, Entertainment Industry, Establishment, Free speech, Global elite, Globalists, Government, Grey, Hollywood, Infowars, Interaction design, internet, Internet 2, Mass Media, Media, Myspace, National Defense Authorization Act, NDAA, New Layout, Protect IP, Rupert Murdoch, SOPA, Stop Online Piracy Act, Television, The Alex Jones Show, TV, US government, White, Youtube. Bookmark the permalink.